Saint Helena ( SAYNT-ha-LEE-na) is a tropical island of volcanic origin in the South Atlantic Ocean, 4000 km east of Rio de Janeiro. 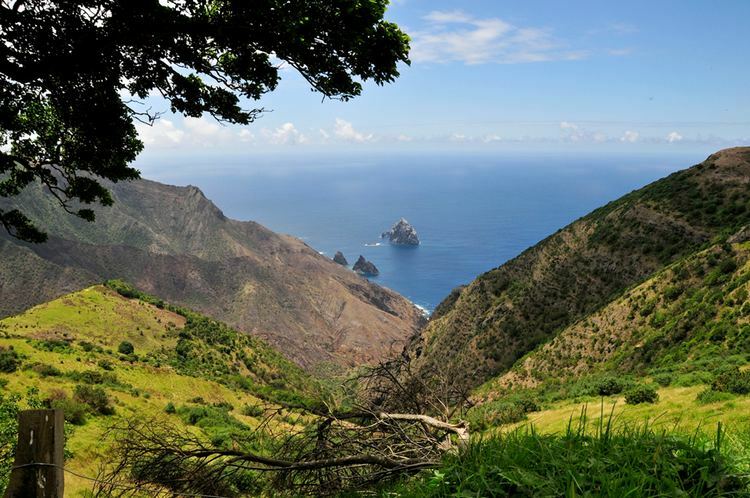 It is part of the British Overseas Territory of Saint Helena, Ascension and Tristan da Cunha, which also includes Ascension Island and the islands of Tristan da Cunha. 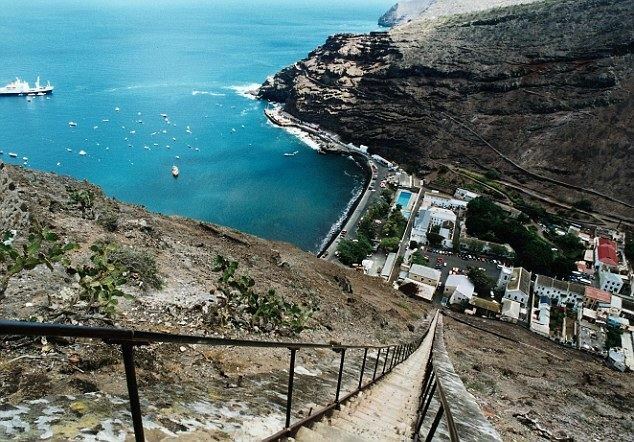 Saint Helena measures about 16 by 8 kilometres (10 by 5 mi) and has a population of 4,255 (2008 census). 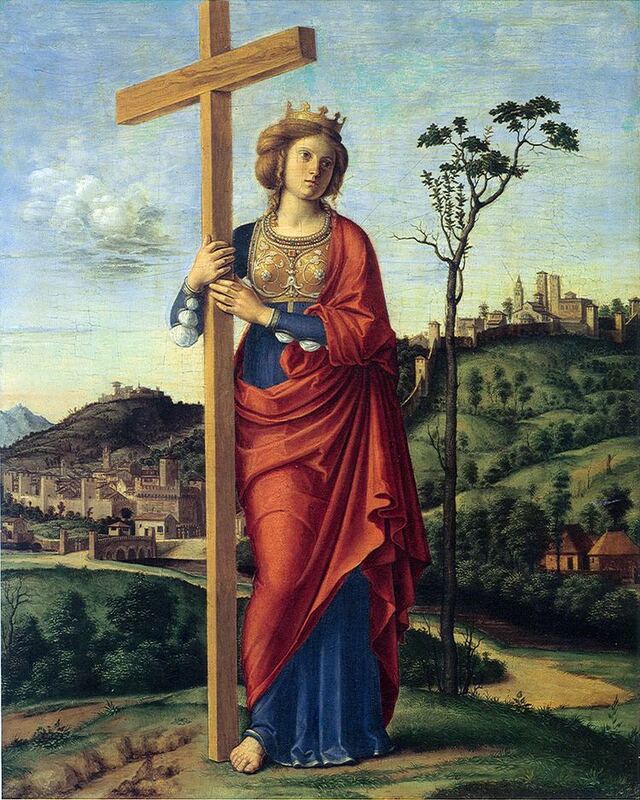 It was named after Saint Helena of Constantinople. 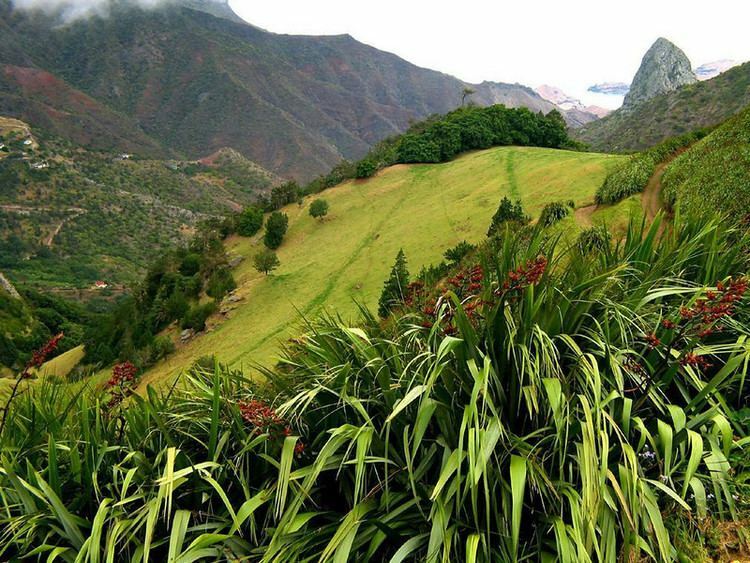 Between 1791 and 1833, Saint Helena became the site of a series of experiments in conservation, reforestation, and attempts to boost rainfall artificially. This environmental intervention was closely linked to the conceptualization of the processes of environmental change and helped establish the roots of environmentalism. 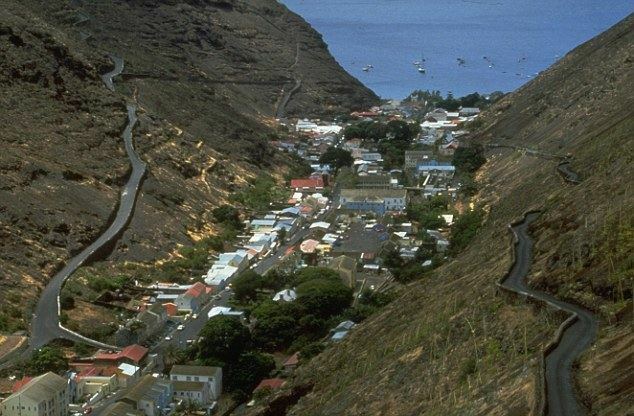 Saint Helena is Britains second oldest remaining of the British Overseas Territories, after Bermuda. Most historical accounts state that the island was discovered on 21 May 1502 by the Galician navigator João da Nova sailing at the service of Portugal, and that he named it "Santa Helena" after Helena of Constantinople. Another theory holds that the island found by da Nova was actually Tristan da Cunha, 2,430 kilometres (1,510 mi) to the south, and that Saint Helena was discovered by some of the ships attached to the squadron of Estêvão da Gama expedition on 30 July 1503 (as reported in the account of clerk Thomé Lopes). The Portuguese found the island uninhabited, with an abundance of trees and fresh water. 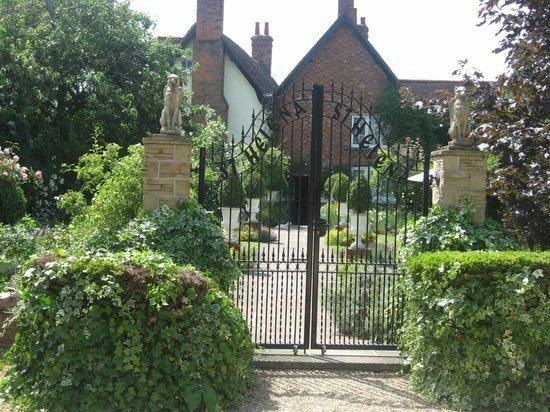 They imported livestock, fruit trees and vegetables, and built a chapel and one or two houses. Though they formed no permanent settlement, the island was an important rendezvous point and source of food for ships travelling from Asia to Europe, and frequently sick mariners were left on the island to recover, before taking passage on the next ship to call on the island. Englishman Sir Francis Drake probably located the island on the final leg of his circumnavigation of the world (1577–1580). Further visits by other English explorers followed, and, once Saint Helena’s location was more widely known, English ships of war began to lie in wait in the area to attack Portuguese India carracks on their way home. In developing their Far East trade, the Dutch also began to frequent the island. The Portuguese and Spanish soon gave up regularly calling at the island, partly because they used ports along the West African coast, but also because of attacks on their shipping, the desecration of their chapel and religious icons, destruction of their livestock and destruction of plantations by Dutch and English sailors. The Dutch Republic formally made claim to Saint Helena in 1633, although there is no evidence that they ever occupied, colonised or fortified it. By 1651, the Dutch had mainly abandoned the island in favour of their colony at the Cape of Good Hope. Located in the South Atlantic Ocean on the Mid-Atlantic Ridge, more than 2,000 kilometres (1,200 mi) from the nearest major landmass, Saint Helena is one of the most remote places in the world. The nearest port on the continent is Namibe in Southern Angola, and the nearest international airport the Quatro de Fevereiro Airport of Angolas capital Luanda; connections to Cape Town in South Africa are used for most shipping needs, such as the mail boat that serves the island, the RMS St Helena. The island is associated with two other isolated islands in the southern Atlantic, also British territories: Ascension Island about 1,300 kilometres (810 mi) due northwest in more equatorial waters, and Tristan da Cunha, which is well outside the tropics 2,430 kilometres (1,510 mi) to the south. The island is situated in the Western Hemisphere and has the same longitude as Cornwall in the United Kingdom. Despite its remote location, it is classified as being in West Africa by the United Nations. The island of Saint Helena has a total area of 122 km2 (47 sq mi), and is composed largely of rugged terrain of volcanic origin (the last volcanic eruptions occurred about 7 million years ago). Coastal areas are covered in volcanic rock and warmer and drier than the centre. The highest point of the island is Dianas Peak at 818 m (2,684 ft). In 1996 it became the islands first national park. Much of the island is covered by New Zealand flax, a legacy of former industry, but there are some original trees augmented by plantations, including those of the Millennium Forest project which was established in 2002 to replant part of the lost Great Wood and is now managed by the Saint Helena National Trust. When the island was discovered, it was covered with unique indigenous vegetation, including a remarkable cabbage tree species. The islands hinterland must have been a dense tropical forest but the coastal areas were probably also quite green. The modern landscape is very different, with widespread bare rock in the lower areas, although inland it is green, mainly due to introduced vegetation. There are no native land mammals, but cattle, cats, dogs, donkeys, goats, mice, rabbits, rats and sheep have been introduced, and native species have been adversely affected as a result. The dramatic change in landscape must be attributed to these introductions. As a result, the string tree (Acalypha rubrinervis) and the St Helena olive (Nesiota elliptica) are now extinct, and many of the other endemic plants are threatened with extinction. There are several rocks and islets off the coast, including: Castle Rock, Speery Island, the Needle, Lower Black Rock, Upper Black Rock (South), Bird Island (Southwest), Black Rock, Thompsons Valley Island, Peaked Island, Egg Island, Ladys Chair, Lighter Rock (West), Long Ledge (Northwest), Shore Island, George Island, Rough Rock Island, Flat Rock (East), the Buoys, Sandy Bay Island, the Chimney, White Bird Island and Frightus Rock (Southeast), all of which are within one kilometre (0.62 miles) of the shore. The island had a monocrop economy until 1966, based on the cultivation and processing of New Zealand flax for rope and string. St Helenas economy is now weak, and is almost entirely sustained by aid from the British government. The public sector dominates the economy, accounting for about 50% of gross domestic product. Inflation was running at 4% in 2005. There have been increases in the cost of fuel, power and all imported goods. The Education and Employment Directorate also offers tailor-made programmes for special needs students and lifelong learning opportunities developed by the Adult and Vocational Education Service. The directorate provides evening classes for a variety of subjects and encourages distance learning or online correspondence courses. There is also provision of a public library (the oldest in the Southern Hemisphere)and a mobile library service which operates in the rural areas on a weekly basis. 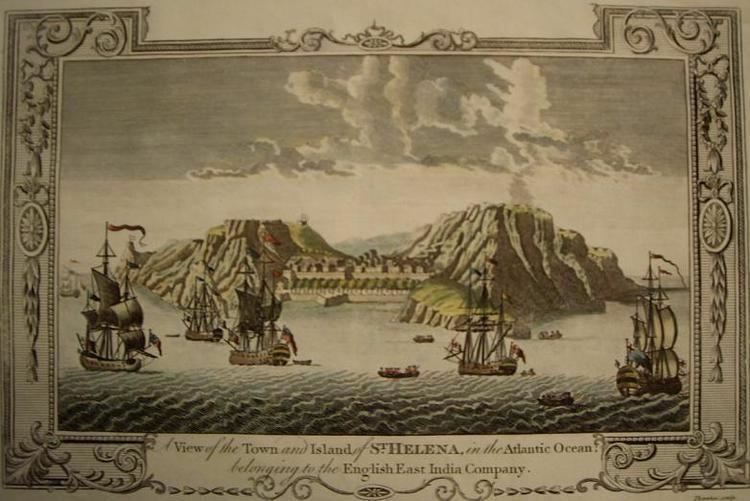 The island of Saint Helena has been influenced by several European powers, by the inhabitants, (especially slaves) and the ships passing through, during its history. This has affected the cuisine of Saint Helena, which now has a vibrant and international cuisine variety. Popular dishes on the island include traditional British Sunday roast, curry, black pudding, pumpkin stew and spicy fishcakes. Fish is one of the staple foods, along with rice, and spices are added to make a wide variety of dishes similar to those found in the Caribbean. Fishcakes are made from a mixture of spices, herbs, mashed potato and fresh fish like tuna and are covered in breadcrumbs. They are then baked or fried until golden brown. Pilau is a spiced curried rice with meat or fish. It is served hot often without vegetables. Coconut fingers are long, finger shaped Madeira cakes dipped in icing and rolled in coconut. Pumpkin pudding is dish of baked pumpkin, dried fruit, flour, eggs and nutmeg.